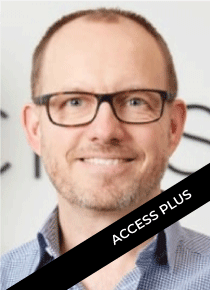 Martin is a tech entrepreneur and executive with more than 15 years’ experience from VC owned fast growing tech startups.Prior to co-founding Crosser, Martin was a CEO of Adra, a Norwegian SaaS company. Prior to joining Adra, Martin was Head of Sales for Edgeware, the edge-video-server company that IPO’d in 2016, securing fast international expansion. Prior to joining Edgeware, he co-founded and was CEO of PacketFront, a FTTH router and systems company, that became one of the fastest growing tech-companies in the Nordics. Martin started his career with five year in Sales at Cisco and he has a Master of Science in Business Administration from Lund University, Sweden.